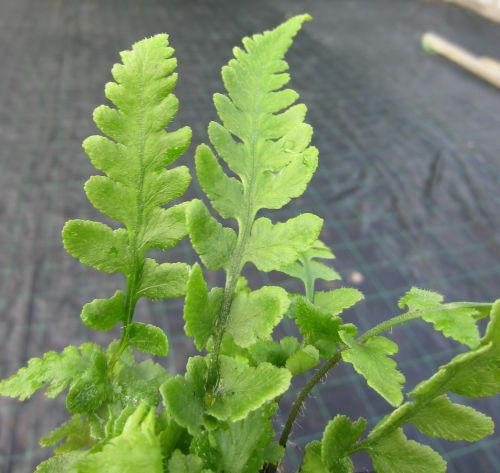 A beautiful Philippine native fern, hardy in all but the coldest areas where a protective mulch would be advised. Creeps along with short rhizomes in bright, open ground in moist soil. Excellent for containers where the fresh pea-green fronds set off flowering plants. Can be grown in full sun if watered well.